Did you know that Mexican cuisine is recognised by UNESCO as an 'Intangible Cultural Heritage of Humanity'? 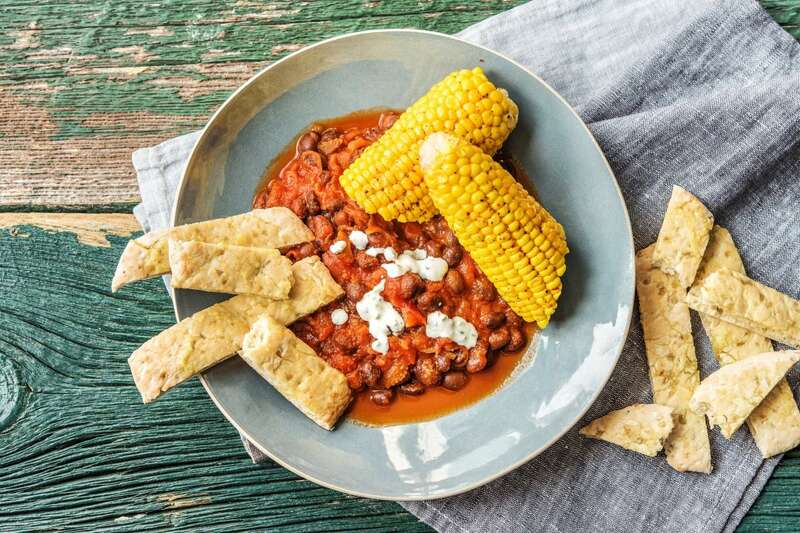 Today's recipe demonstates why: a hearty black bean stew is the perfect compliment to sweet and smoky spiced corn on the cob. De nada! Preheat your oven to 200 degrees. Pop each corn cob on a piece of foil about the size of an A4 piece of paper. Season with a pinch of salt and a good grind of black pepper. Sprinkle on the Mexican spice (add less if you don't like too much heat!) and drizzle over some oil. 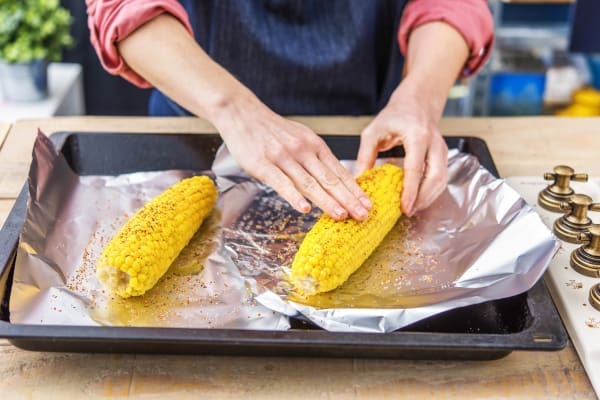 Massage in the oil, spices and seasoning, then wrap the corn in the foil. Place on a baking tray and pop on the top shelf of your oven. Cook for 25 mins. Halve, peel and thinly slice the shallot into half moons. Peel and grate the garlic (or use a garlic press). 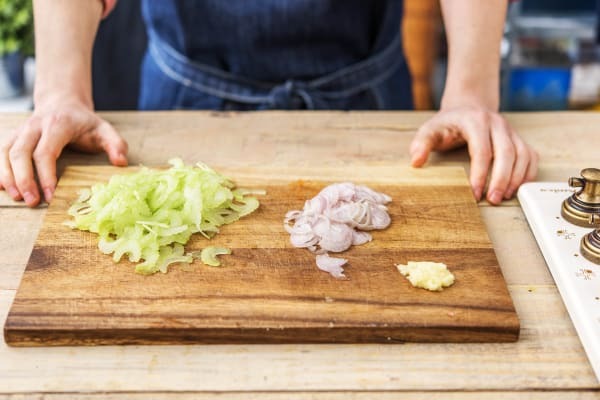 Slice the celery widthways as thinly as you can. Put a frying pan over medium heat and add a splash of oil. When the oil is hot, add the chopped shallot and celery. Cook until softened, 5 mins. Add half the garlic, all the smoked paprika and season with a pinch of salt and some black pepper. Cook for another minute. 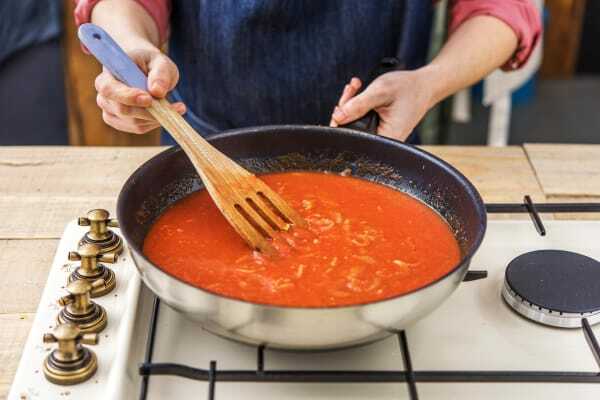 Add the tomato passata, the water (amount specified in the ingredient list) and the vegetable stock pot. Stir well to dissolve the stock pot. Cook until the sauce has reduced by half, about 10 mins. Whilst the sauce simmers, drain the black beans in a colander. Rinse under cold water and set aside. Roughly chop the coriander (stalks and all) and zest the lime. 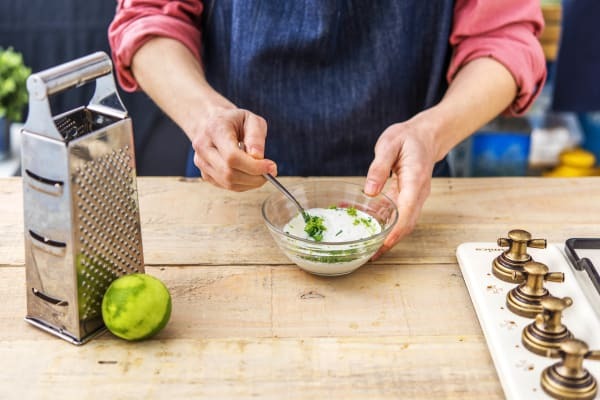 Stir the coriander and lime zest into the sour cream. Season with a pinch of salt. Set aside. Add the black beans to your tomato sauce and cook for another 5 mins. In a small bowl, mix the remaining garlic with a glug of oil and season with a pinch of salt and black pepper. 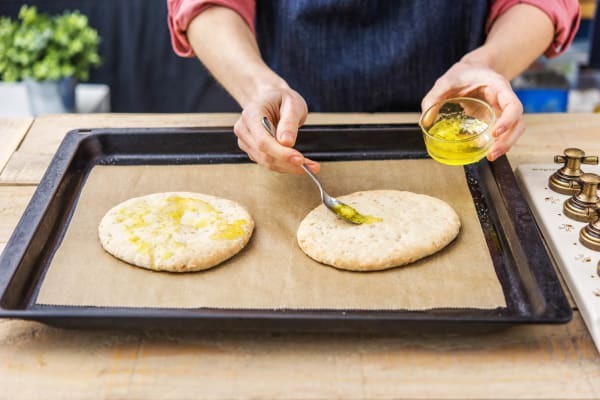 Put the flatbread on another baking tray and spoon over the garlic oil. Pop them on the middle shelf of your oven for 5 mins. When warm, remove from the oven and slice into 2cm wide strips. When everything is ready, unwrap the corn and squeeze over some lime juice. 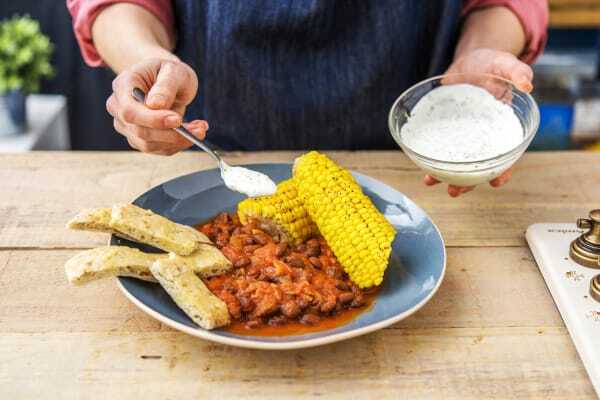 Serve the sweetcorn on top of a bowlful of the black bean stew. Finish with a dollop of sour cream and some flatbread strips. Enjoy!